Summer is here and the primary school kids are just about to join the secondary level pupils on summer holidays. Are you thinking about how to keep the kids busy! The weather in Ireland has been exceptional and we’re not used to this heat. While it’s great to have such nice weather for fun outdoor activities, we’ll hardly be able to stay out all day. Here are some of Totally Irish Gifts’ suggestions for puzzles and games to keep kids busy indoors and out of mischief, or playing outdoors on a table until the sun umbrella! 1. From the ‘Make it Bake it’ range of jigsaw puzzles, this will keep your 6 years+ age group busy for a while. 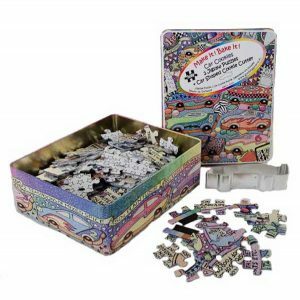 A choice of two sets, each has two puzzles in a beautifully illustrated keepsake tin. In each set there is one puzzle which when put together shows the recipe and the 2nd puzzle made up shows a colourful image. Choice of Car Cookie and Cup Cake jigsaw puzzles. The Car Cookie puzzle also includes a cookie cutter in the shape of a racing car! Boys love the Car Cookie puzzle set, while the girls go for the Cup Cake puzzle set, but girls also love the Car Cookie set and bake car cookies for daddy, brothers, etc. Each set is €16. 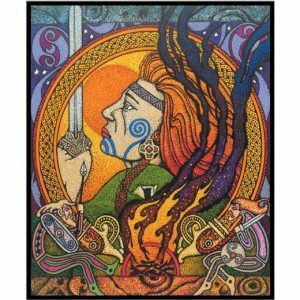 These jigsaw are made in Ireland. 2. 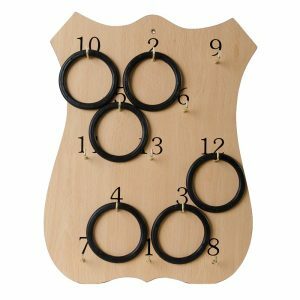 The ring board is always a firm favourite and will keep all ages busy. 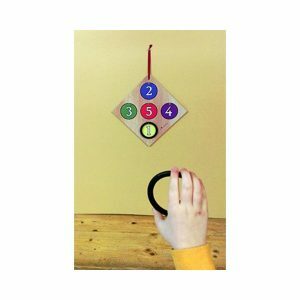 This is a great Irish game, kids will have fun while improving their hand to eye co-ordination and at the same time unknowingly practice their simple arithmetic skills. Choose from the Traditional Board, €23.50, or the Junior Board, €17. Championship size is also available. 3. 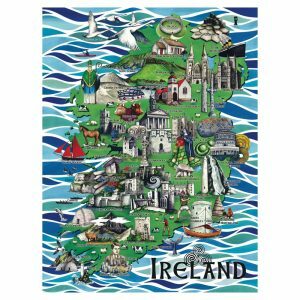 Browse our range of Irish jigsaws ranging from 60 pieces to 1000 pieces. 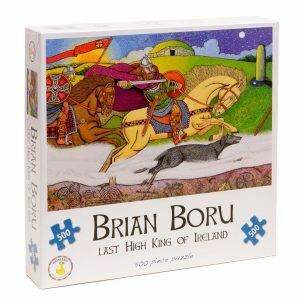 Beautifully illustrated jigsaws of Irish legends, a short story of each legend is printed on the box. 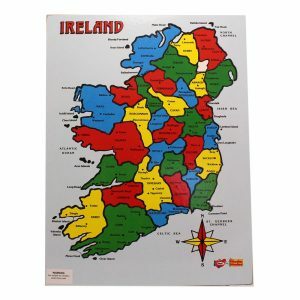 Browse our wooden jigsaws: 32 counties of Ireland – each piece is a county, €20. History of Ireland, only 4 pieces, each a province, but remove the pieces to reveal an interesting history of Ireland, €18. Learn the countries of the world with the World Map Jigsaw, €22. For the tots we have a lovely colourful ABC jigsaw, €15. 6. Sewing and Embroidery Sets. Lovely sets for busy little hands. Sewing kits range from beginners (age 9 up) to intermediate (age 10 up). €24.99 and €29.99. Embroidery Sets are for beginners and are suitable for ages 7 up. €15.95. Wishing everyone a lovely summer 2018, happy summer holidays, one of these games to keeps kids busy will help! Prices correct at time of blog, prices may change or go on sale at different times during the year.